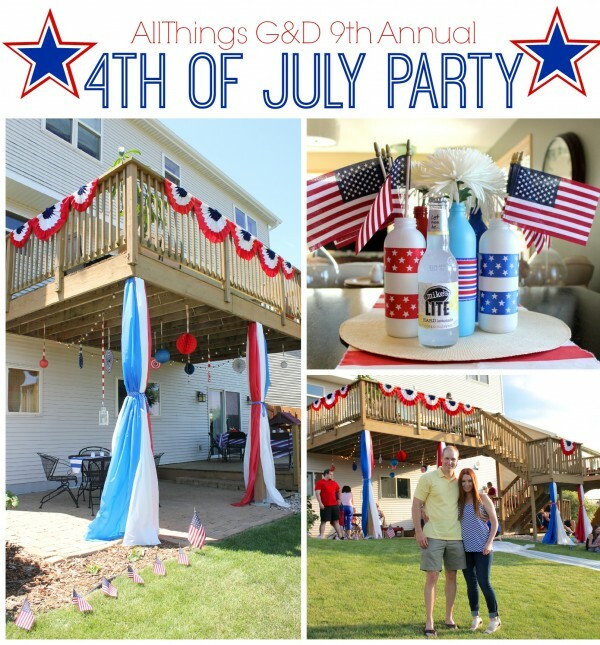 This year we teamed up with Mike’s Hard Lemonade for our best 4th of July party yet! 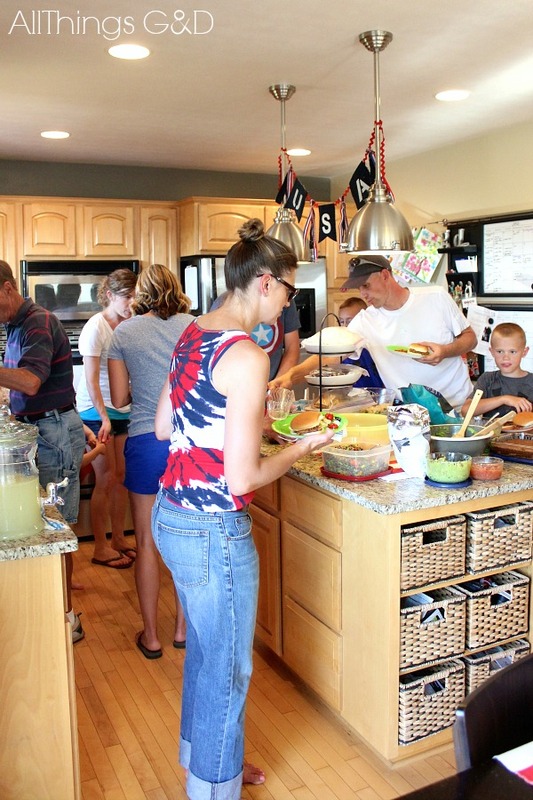 With more than 60 people in attendance, there was no shortage of friends, family, and fun. 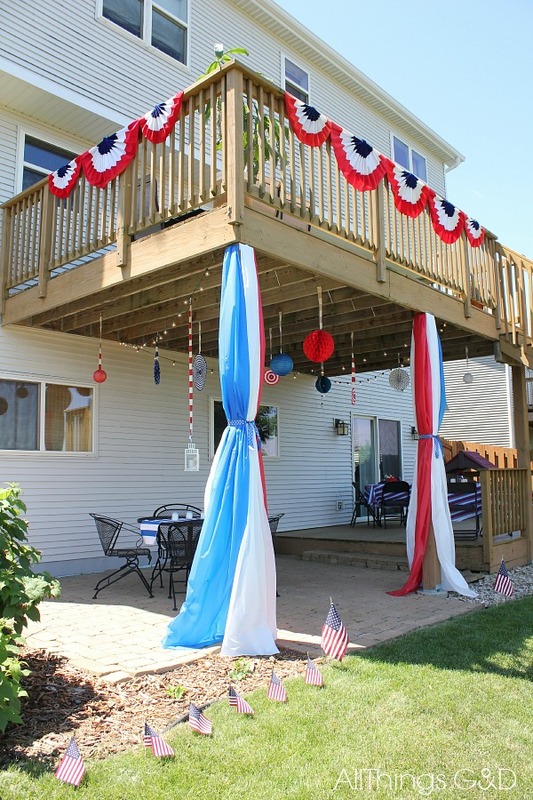 Read on to see some party favorites carried over from last year, new ideas that were quite the hit, and a recap of our great, all-American weekend. 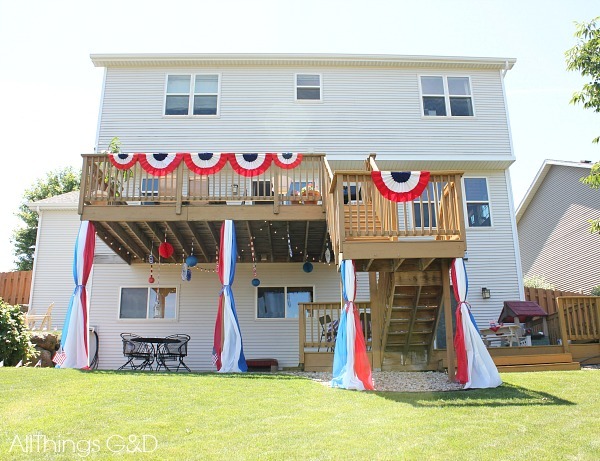 The G&D backyard, all decked out for 4th of July. 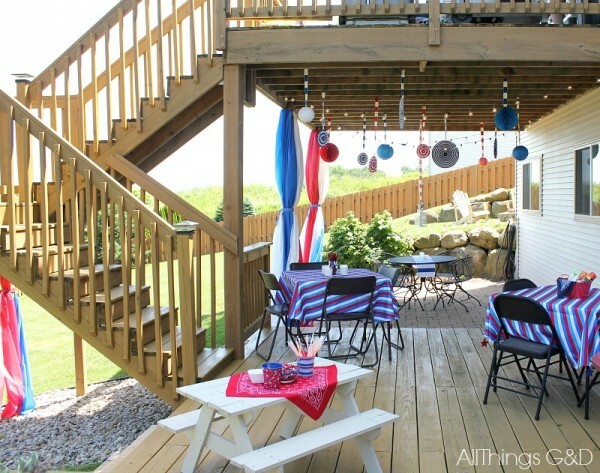 Our lower deck and patio. 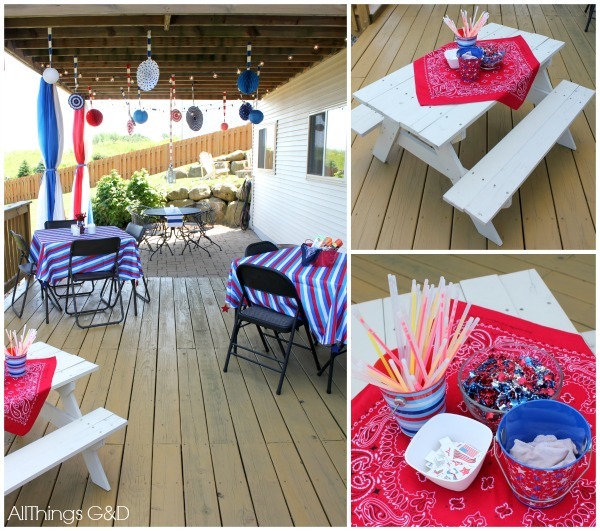 This year’s kids’ table featured glow bracelets, red, white & blue star necklaces, and a patriotic tattoo station. 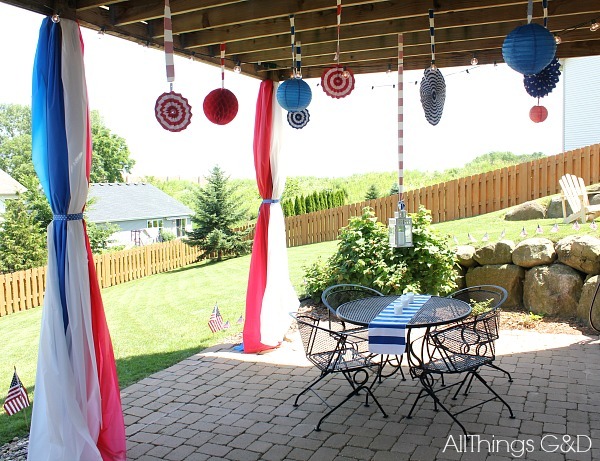 I used rolls of plastic tablecloth stapled to our deck beams for a cheap and easy way to add more color to our outdoor space. A view of the fire pit and build-your-own s’mores area in the background. 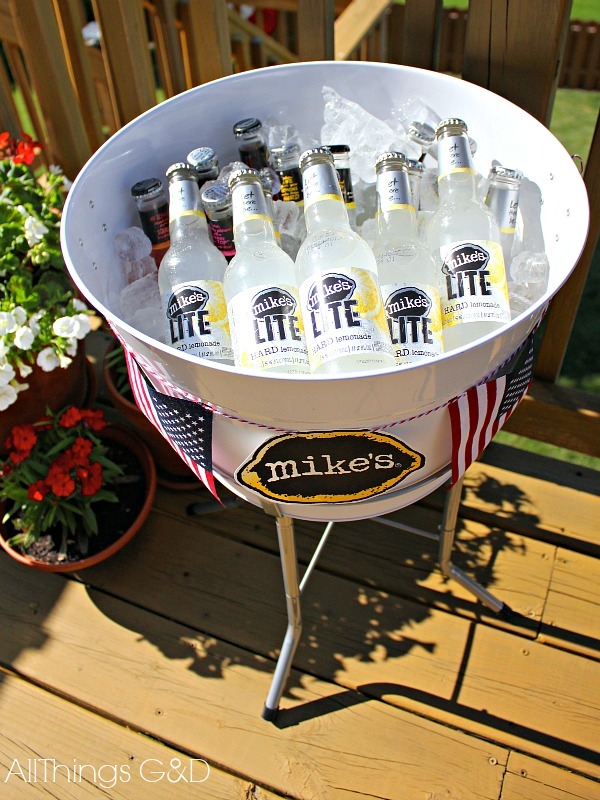 Plenty of refreshing Mike’s LITE Hard Lemonade to go around! 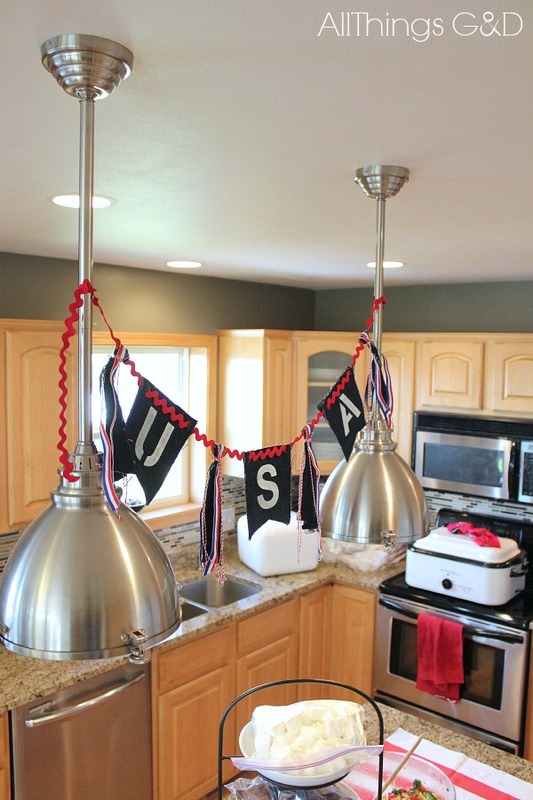 DIY Patriotic Denim Bunting tied to our kitchen pendants. 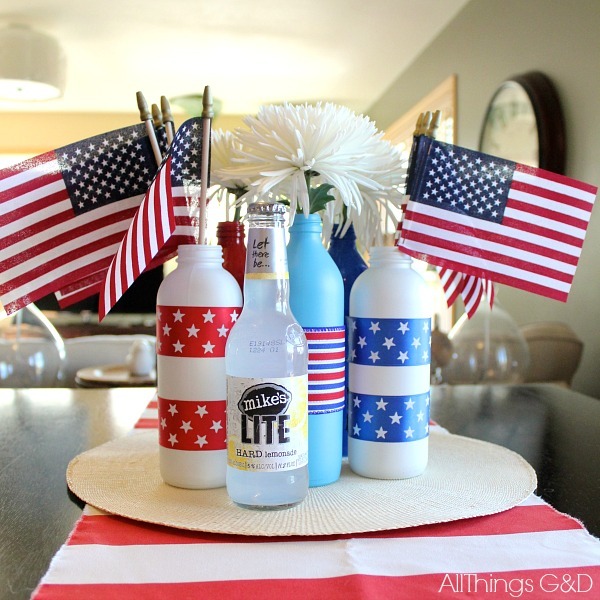 Mike’s LITE Hard Lemonade & DIY Patriotic Painted Glass Vases. 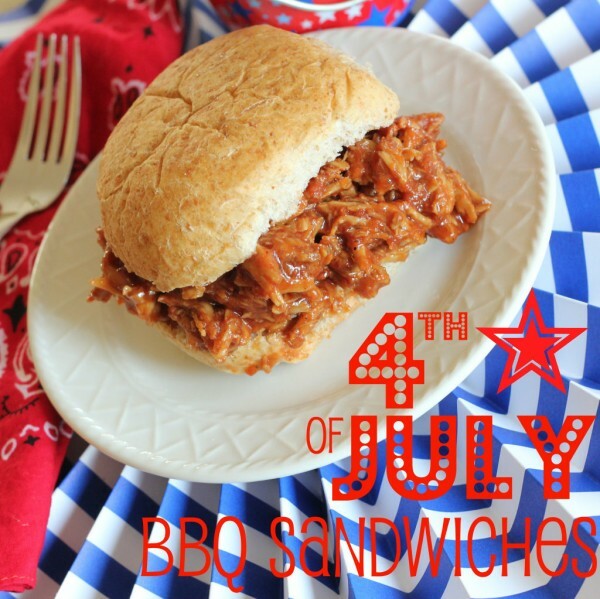 Our 4th of July BBQ Sandwiches are a hit every year! 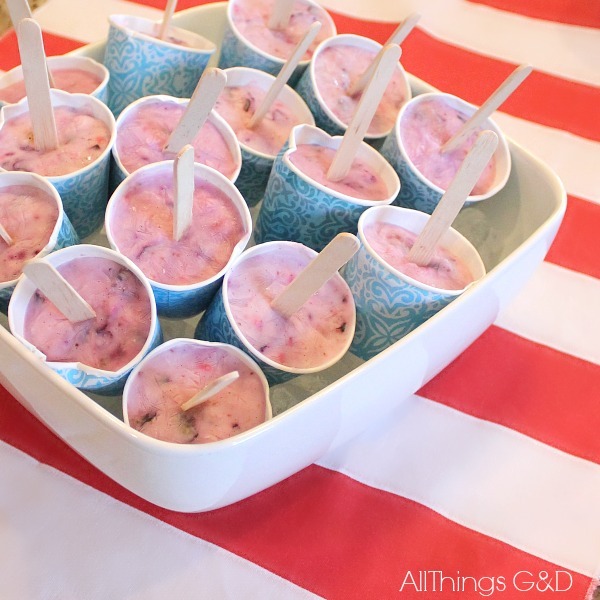 Homemade Yogurt Pops – sweetened with honey for a delicious and healthy #LITEhack treat. 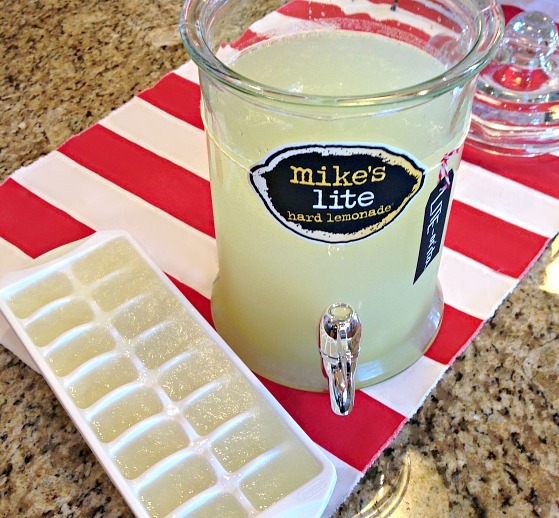 My Mike’s LITE Hard Lemonade “LITE-aritas” – a 3 ingredient, lower calorie alternative to a traditional margarita – were a huge hit at this year’s party! I wasn’t about to let our LITE-aritas get watered down, so I also made LITE-arita ice cubes to keep our mix cool and refreshing. 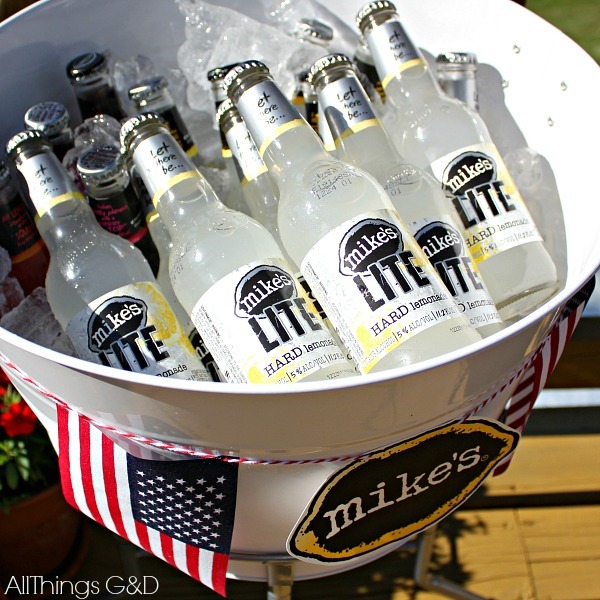 Mike’s LITE Hard Lemonade “LITE-arita” and LITE-arita ice cubes – the perfect addition to this year’s 4th of July party! 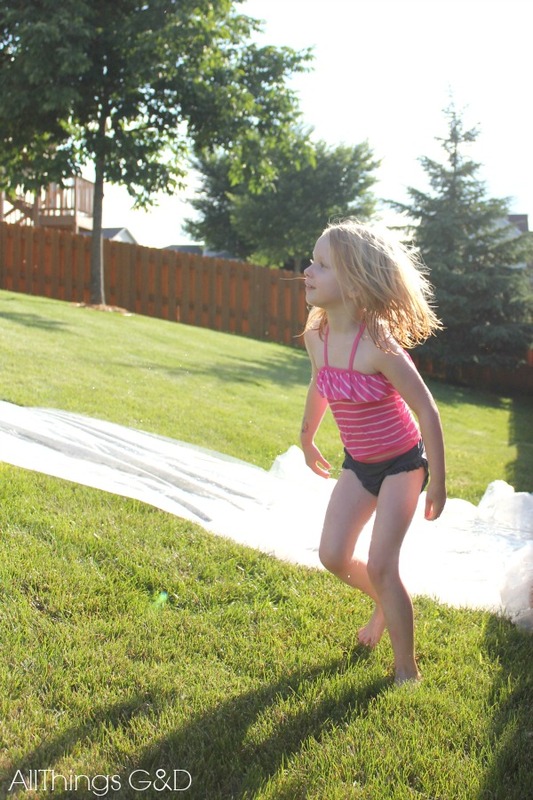 The kids have always enjoyed a slip & slide in our backyard, and this year G took it to the next level with this huge, DIY slip & slide, made from industrial plastic – so much fun! 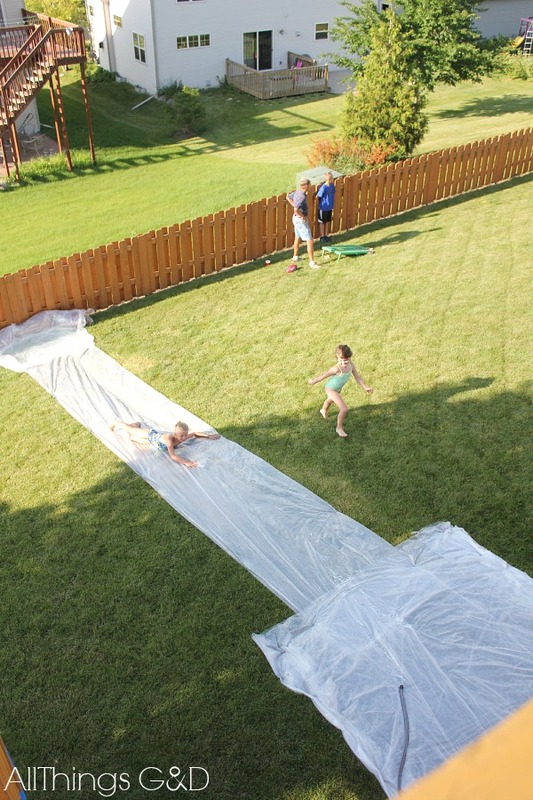 Another view of G’s oversized, DIY slip & slide. 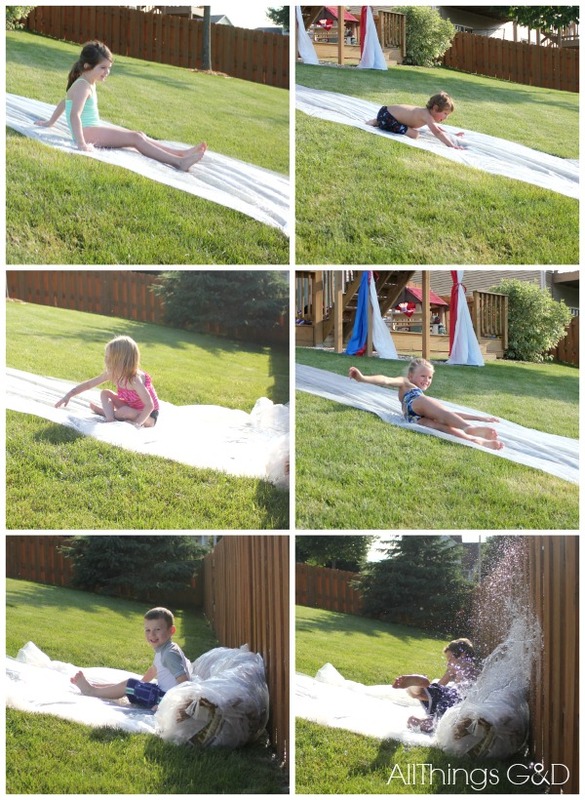 There was no shortage of smiles, laughs, and cheers from the kids as they enjoyed the slip & slide – it was definitely a hit! 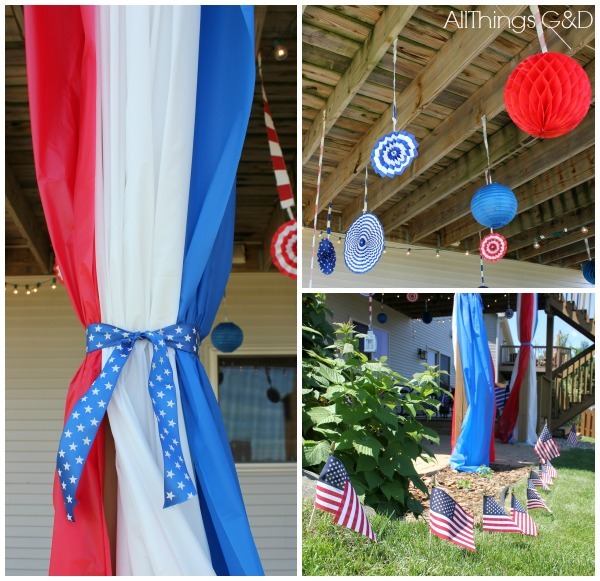 The 4th of July has always been one of my favorite holidays for more reasons than one! 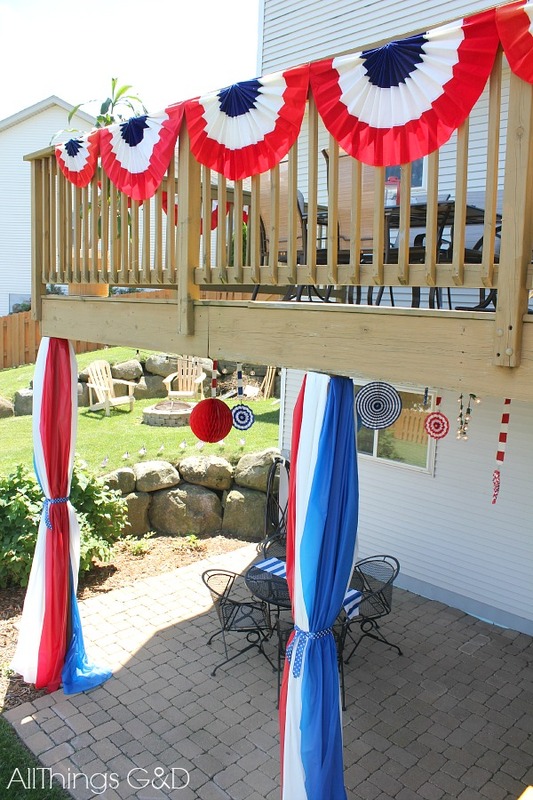 Fifteen years ago, G and I had our very first date on the 4th of July. Exactly three years after that – on 4th of July weekend – he proposed. 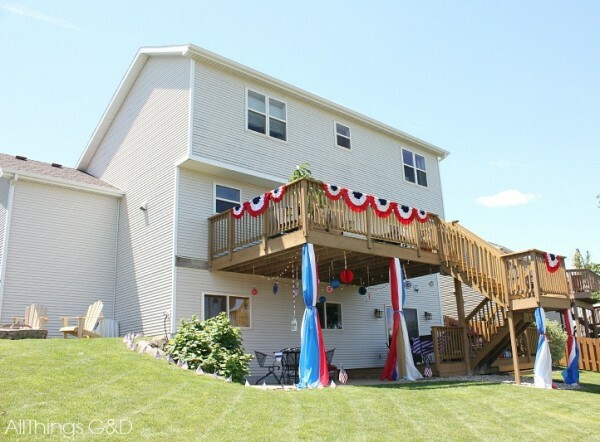 (Had we been thinking we should’ve kept the streak rolling and gotten married on 4th of July, too!) 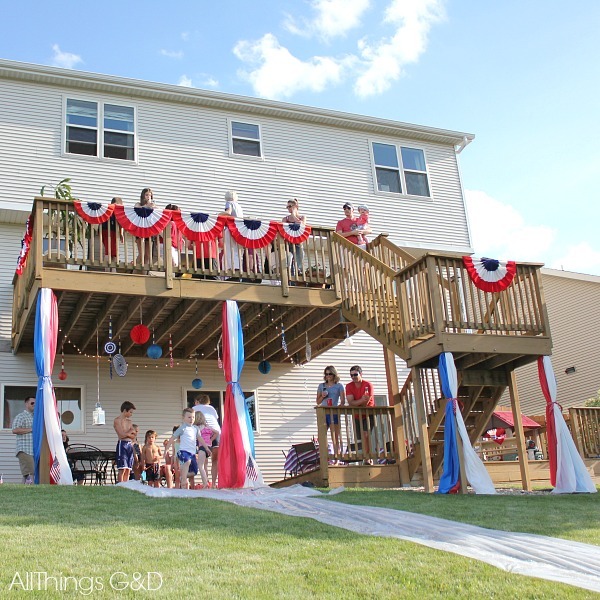 We love being able to celebrate our nation’s birthday (and the start of our relationship) in such a wonderful way – surrounded by lots of laughs and loved ones! 15 years ago on this day, Greg and Dusty became G&D. Happy anniversary, baby! G along with Anthony and Carter, getting the first lantern lit and ready to release. 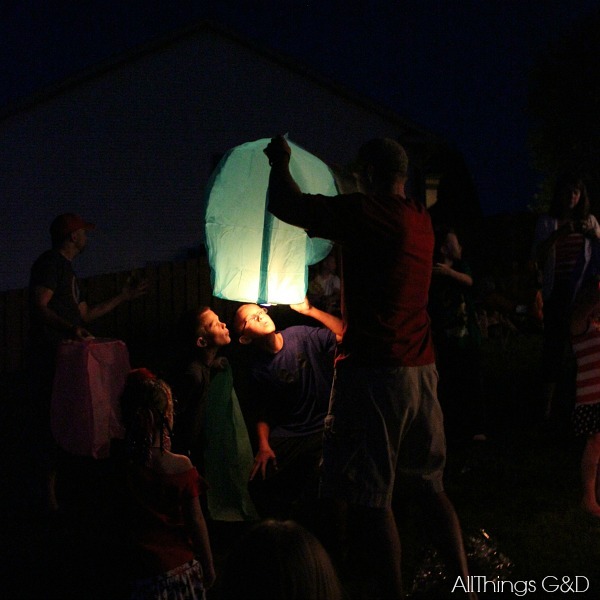 Each family made a wish before releasing their lantern into the night sky. 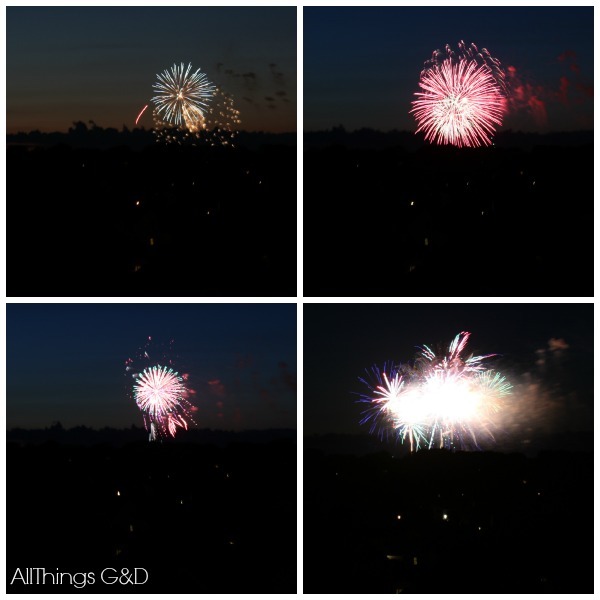 Every year I say I’m going to get pictures of the fireworks from our yard, and every year I forgot – but not this year! 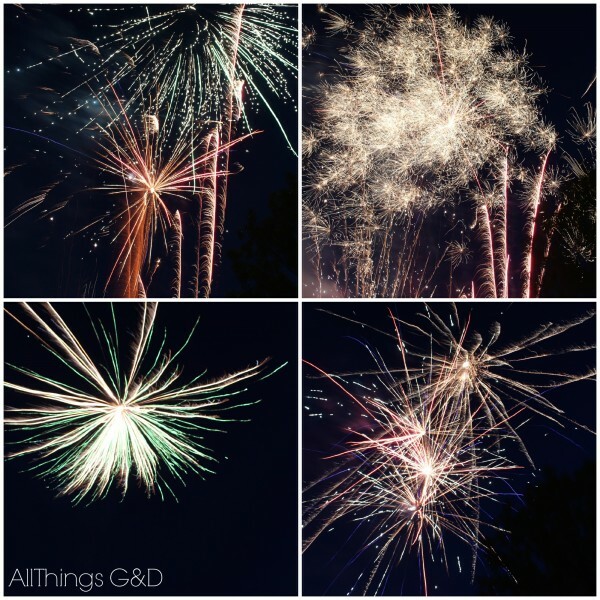 Our neighborhood fireworks ended up being the night before our party, so this time I wasn’t too busy or distracted to catch them. Our city’s fireworks show, as seen from our backyard. Our neighbor’s fireworks show, as seen from our front porch. 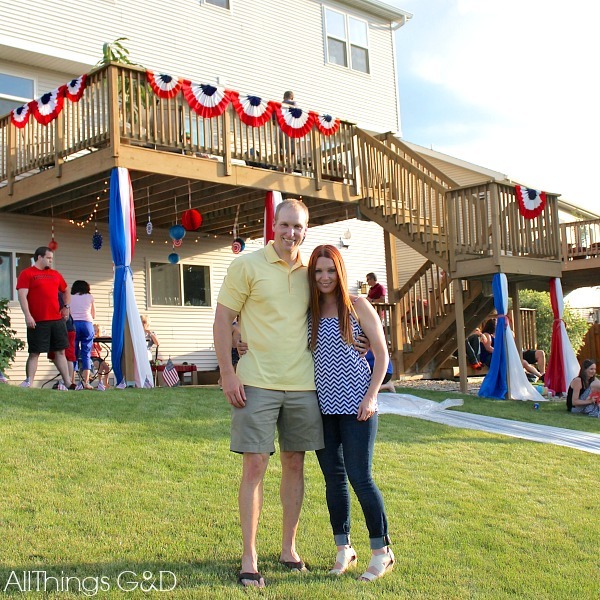 Thank you so much for checking out our 4th of July party recap and sharing in the fun! 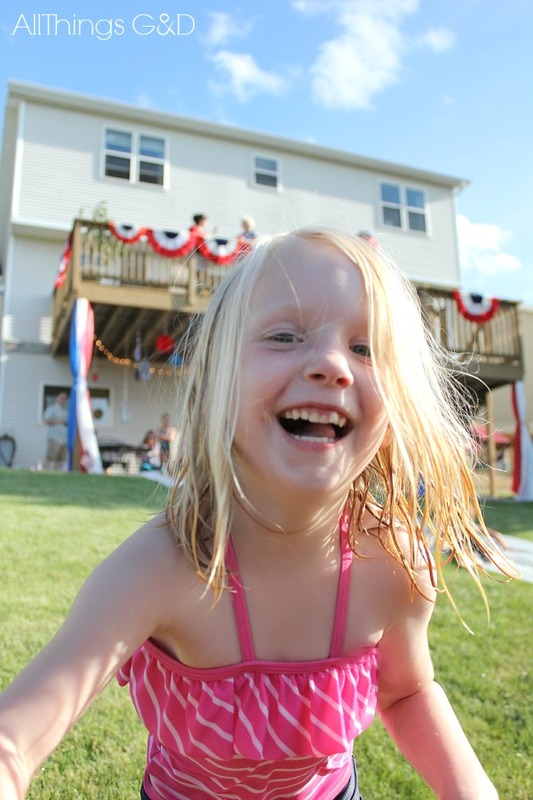 I hope you all had a safe and wonderful holiday weekend! Thank you so much, Iris! It is a blessing for sure. We are lucky to have this opportunity to celebrate! 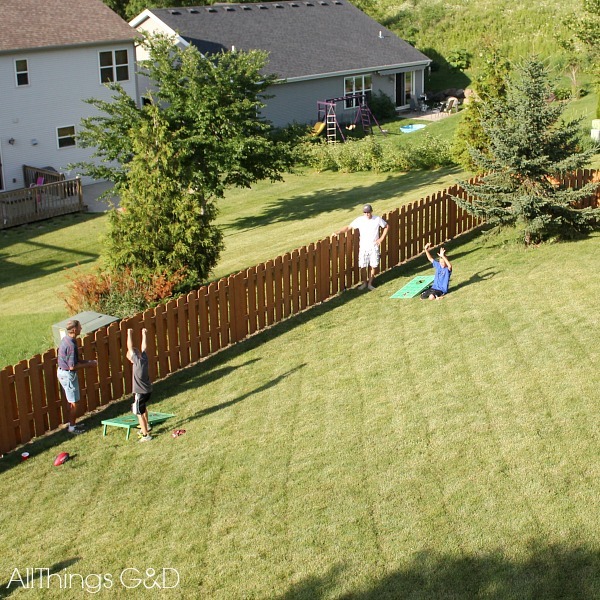 My kind of party! I love Mike’s Hard Lemonade! 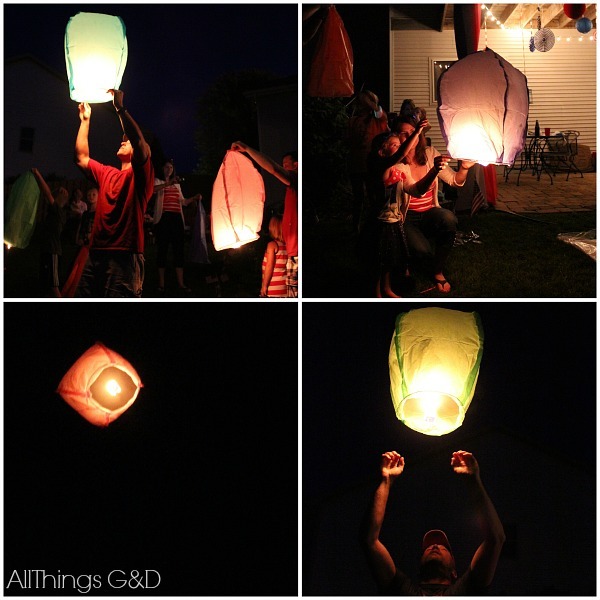 The lanterns look like fun, too. It looks like it was a great party! Hope to meet you at Haven and sit in on your session! Thank you so much, Lauren! You are so sweet to stop by and say hello. So happy to hear you’ll be joining our session – I look forward to meeting you!